Massimo Airoldi is currently Assistant Professor at EM Lyon. After having received his PhD in Sociology and Methodology from the University of Milan (NASP) in 2017, he has been postdoctoral researcher at the Lifestyle Research Center. 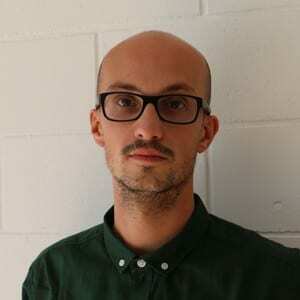 He has also collaborated with the Centre for Digital Ethnography and Public Opinion and Media Lab (University of Milan). His research focuses on digital methods, taste, music, algorithms, platforms and consumer cultures. Natale, P., Airoldi, M. (Eds.) (2017). Web & social media: le tecniche di analisi. Santarcangelo di Romagna: Maggioli Editore. Airoldi, M., Beraldo, D., & Gandini, A. (2016). Follow the algorithm: An exploratory investigation of music on YouTube. Poetics, 57, 1-13. Arvidsson, A., Caliandro, A., Airoldi, M. & Barina, S. (2016). Crowds and value. Italian Directioners on Twitter. Information, Communication & Society, 19(7), 921-939. Airoldi, M. (2016). Analyzing social media with topic models: Sanremo 2016 on Twitter. Studi Culturali, 3/2016, 431-448.